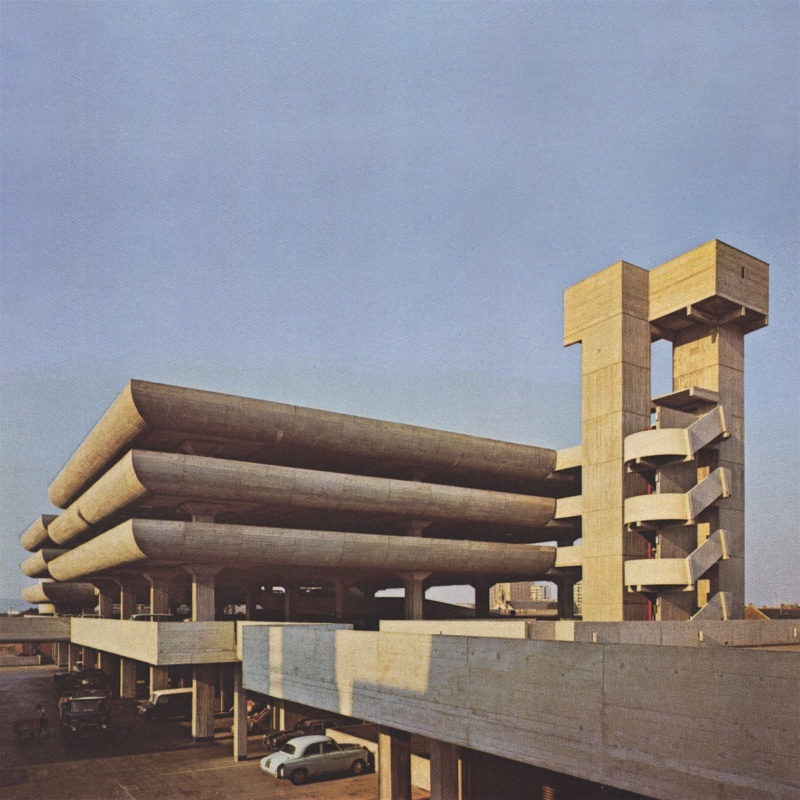 The Tricorn, acquiring its name from its distinctive concrete profile, was one of the most iconic British brutalist shopping centres, one of many that were built to house an array of departments to usher in a new way of convenience as a one-stop-shop. Owen Luder and Rodney Gordon designed the complex with un-rendered raw concrete surfaces with the hope that tenants, commercial or otherwise (the complex included eight apartments) would decorate and colour accordingly. This, however, never happened: the Tricorn quickly fell into disrepair with the residential portion deemed almost unliveable, and the failure to secure a major commercial tenant causing a strain on the city of Portsmouth. Amidst much controversy the Centre was demolished in 2004 and is remembered as a great monument of its time.